Matteo's Landscaping Company, Inc. provides the full range of commercial landscape maintenance, grounds maintenance and lawn care services to make your life much easier in keeping your property looking great! We serve commercial, industrial, governmental and high end residential customers in Weston, Pembroke Pines, Coral Springs, Fort Lauderdale, Plantation, Sunrise, Boca Raton, Delray Beach, Boynton Beach, Sunny Isles, Miami and throughout Broward, West Palm Beach and Miami-Dade counties. 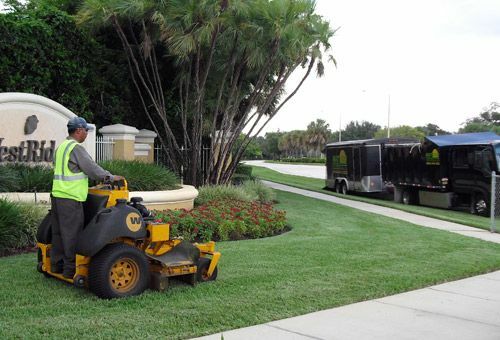 As reliable commercial landscape maintenance, grounds maintenance and lawn care services contactor in South Florida, Matteo's Landscaping has courteous and professional crews that are cognizance of cleanliness and site safety. We develop customized landscape maintenance programs to suit your specific needs and property while staying within your budget. Contact us today for more information on our commercial landscape maintenance services at (954) 444-1008 or complete the Contact Us form - click here. © Matteo's Landscaping Company Inc 2016. All rights reserved.